Anthony is a rare combination of a manager, engaging communicator and athlete, who boasts a wealth of experience as a senior manager in two multi-national companies, as a motivational speaker and a long career in track and field and American football. Anthony is presently a business and personal coach for entrepreneurs and executives actross different industrial and commercial sectors. 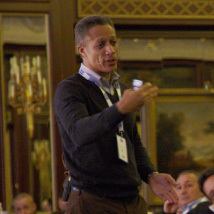 In addition, given that well-rouned professional soccer and coaches are great comunicators and managers, he also serves as a mental and personal coach for soccer coaches in the top Italian football divisions, To round out his skill set and professional activities, Anthony is a highly sought-after speaker for management and sales teams, providing them a source of practical motivation and inspiration. Some of the companies that have entrusted Anthony with their growth projects include: AS Roma Calcio, Associazione Italiana Calciatori, Azimuth Yachts, Banca Fineco, Billabong, Bologna FC 1909, Case New Holland, Frosinone Calcio, Gruppo Bata, Hera Comm, Lega Serie B, Mercedes Benz, Merkur-Win, Nespresso, Novartis, Office Depot, Pinko, SNAI, Vicenza F.C. 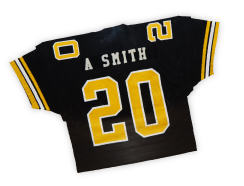 The character, spirit and motivation identified with Anthony go back a long way, and have their roots in athletic competitions, with 16 years of American football and 6 years of track and field. He still keeps in shape with 3 - 4 weekly visits to the gym and an occasional basketball game with friends..
Anthony's competence as a business coach was developed and nurtured over the years thanks to more than ten years of senior management expierience in two multi-national companies as well as training for his how personal growth. After earning a Bachelor's degree in German Studies and Business at Millersville University in Pennsylvania (USA) and a Masters' degree in the same disciplines at Marburg University in Germany, he occupied various senior managemnt positions in Nike including sales director Italy, a career lasting more than twelve years. 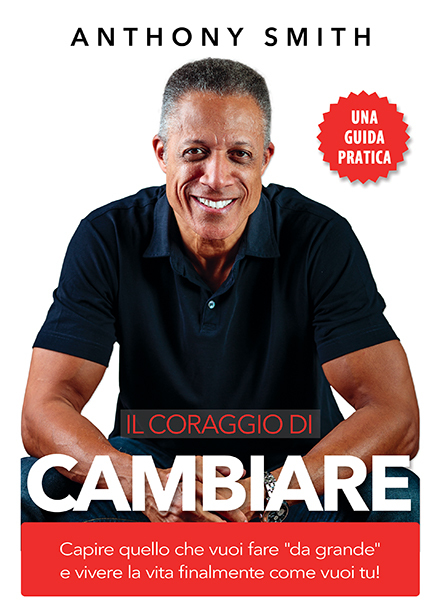 After his long managerial career, culminating with his appointment as Country Managing Director for Levi Strauss Italia, Anthony decided to embark on a new path by creating a method to help people to achieve better results and bring out their hidden potential, in the awareness that the greatest waste in the world is the difference between what we are and what we could be. The story of his own personal transformation is contained in the book "The Courage to Change," in which Anthony guides the reader through the discovery and analysis of his metamorphosis, which began with his very difficult decision to leave Nike, the company he loved to pursue his own personal endeavors.